Reid Watsford has a lot of secrets and a past he can’t quite escape. While staying at his grandmother’s condo in Key Largo, he signs up for introductory dive classes, where he meets Joaquim Oliveira, a Brazilian dive instructor with wanderlust. Driven by an instant, magnetic pull, what could have been just a hookup quickly deepens. As their relationship evolves, they must learn to navigate the challenges of Reid’s mental illness on their own and with each other. There’s a popular trope I see in media. Movies, books, and television shows often depict falling in love or starting a relationship as a catalyst for fixing or curing someone with mental illness. The burdens or struggles of a character’s illness cease in the light of love. This is a dangerously misleading and painful narrative to perpetuate for many reasons, including the implication that there’s “fixing” to be done. It implies that someone with mental illness cannot be loved as they are, setting up false and damaging expectations. It requires an alteration to an aspect of who we are to be worthy of love. As someone with mental illness who sought out stories with mentally ill characters for years, this trope really drove home several key ideas. Love never “fixed” or “cured” me. Even in love and loved, nothing went away. I constantly searched for myself in stories and walked away feeling more hopeless and broken. Love hadn’t changed what couldn’t be changed. I was nineteen when I met my husband. It was my sophomore year of college and while I knew I was struggling, there was nothing about that struggle that felt unusual. I’d been low before. There were days when I couldn’t get out of bed. In my entire, perfectionist, over-achieving life, I actually came close to failing classes. I called in “sick” to work so often I almost lost my job. But I’d been worse. I wasn’t self-harming. I wasn’t in an abusive relationship anymore. On our one year anniversary, I remember turning to him and saying, “This has been the best year of my life.” It had; perhaps because feeling bad felt so normal that my bar for “bad” was set at a different level than that of others. What I remembered most that year was the way I was loved, the kindness and care, the sweetness we shared. Being loved like that was a completely new experience for me. But when I said that, he cried. He tried to explain, but it was something I never really understood until years later, once I’d begun to understand the scope of my mental illness, and once I began working on recovery. That year was a test for him in a way I wasn’t able to appreciate; watching my depression, watching me navigate a strained relationship with my parents, watching me struggle with absolutely no self-esteem and very little self-worth. We’ve been together for almost 17 years now, and in that time, we’ve seen and been through a lot. We were together for years before I confessed that I self-harmed, before I ever confessed to having suicidal ideations, and before I ever articulated what my highs and lows felt like. He loved me unconditionally through years when I suffered in silence; I never doubted that love, and it never altered basic truths about who I am. There was no way that any amount of love between us or from him that could have prevented the eventual mental breakdown I had in the wake of a serious postpartum depression. In many ways, Reid’s story in A Tiny Piece of Something Greater is my own. While I was in long term psychiatric care I worked with a team of professionals in order to find a diagnosis, cyclothemia, a rare mental illness that can be very hard to articulate and see. I learned skills and how to fight, actively, for my own wellness. After I came home my husband and I had to learn to reorient and rework every aspect of our relationship. There were many lessons and takeaways I can mine from these experiences, one which is very, very important to me. Love is not a cure. When I first imagined Reid’s story I committed to writing a book about what it is like to live with mental illness, to work recovery, to relearn living, and also, to fall in love, I knew that writing about falling in love would be the fun part. But personally, one of the biggest draws to this story was the idea of exploring what it means to stay in love in these circumstances. In my own experience, navigating a mood disorder such a cyclothemia involves being attuned to subtle cues that my moods are going to swing or are unstable. As someone who works their wellness and recovery the way that I do (constant practice, willingness and strength) it can be chafing or irritating when others try to tell me what they’re seeing or perceiving. It feel like they don’t trust me to know what’s best. But the truth is that sometimes I cannot see the forest for the trees, and the tension these situations cause are very real. These are moments I wanted to highlight for Reid and Joaquim. The reality of being in love in these situations is that there will be tensions and struggle, and that finding the right person—even the perfect person—for you won’t make those things go away. On the flip side, writing characters who cared for each other so much, for whom falling in love was so beautiful, that writing them learning and struggling to communicate was its own joy. A Tiny Piece of Something Greater was a balancing act: I tried my hardest to represent as accurately as possible the experience of everyday mental illness, but also, the realistic power of love. A Tiny Piece of Something Greater is a love story, true, but it’s also a story about a boy learning to thrive and manage a new life and recovery. Falling in love with Joaquim enriches Reid’s life just as much as falling for Reid enriches Joaquim’s life. Their love story is just beginning. What A Tiny Piece of Something Greater tries to achieve is a depiction of the first steps of many that people in a loving relationship must take. Seventeen years into my own relationship, I can look back at this life my husband and I have made made and understand that what we have is a love story and a relationship I am proud of. When I look back at my own life, what I see is a story about surviving my mental illness and right now, absolutely thriving. And that thriving? Our love is a part of that narrative, but isn’t responsible for it. It is not what my wellness hinges on. The most important factor in my wellness is me. In this book, it’s Reid. I can’t say enough about how wonderful it was to write Reid and Joaquim’s love story; but separately, how much it means to me to have written this story that reflects an honest truth. Love doesn’t cure or fix; it supports. It supplements. It enriches. Jude Sierra is a Latinx poet, author, academic and mother working toward her PhD in Writing and Rhetoric, looking at the intersections of Queer, Feminist and Pop Culture Studies. She also works as an LGBTQAI+ book reviewer for From Top to Bottom Reviews. Her novels include Hush, What it Takes, and Idlewild, a contemporary LGBT romance set in Detroit’s renaissance, which was named a Best Book of 2016 by Kirkus Reviews. Her most recent novel, A Tiny Piece of Something Greater was released in May of 2018. One request I get with some frequency is for great queer books that also have great mental health rep, and to that, when appropriate, Highly Illogical Behavior by John Corey Whaley is one I always recommend. This isn’t a book where sexuality takes center stage, or even second stage, really, but the MC, Solomon, is gay all the same. However, it’s his agoraphobia that’s really defined his life of late, and this story is about making human connections, however flawed, until you find your place in the world that’s overwhelmed you. It’s a personal favorite, and if you haven’t picked it up yet, I hope you love it as much as I did! Bonus: For a romance that reads demisexual but isn’t officially so on the page, try Second Position by Katherine Locke. A girl, a band, a dream. Fran Worthy is just another girl trying to make it through senior year in Aberdeen, Washington. But it’s 1993 and Fran is gay. Her comfortably off the radar life turns vividly public when a student nominates Fran for prom queen. When confronted by angry parents, Fran refuses to back down, promising to deliver her hometown heroes in hopes of winning prom queen votes. Fran heads out on a 24-hour road trip to Daly City California with four friends, including her crush, who may or may not be gay. Their plan? To sneak backstage and ask Kurt Cobain and Nirvana to come home and play prom. No problem, unless something goes wrong. Chasing Nirvana is out now! Buy a copy at Amazon and check out the book trailer on YouTube! Deep into the writing of Chasing Nirvana, a book about a young gay girl who tries to get Nirvana to play at her prom, my more than slightly puzzled mom asked me a question. How I could write about a gay girl from the poverty stricken flats of Aberdeen, Washington? A girl who is bullied, despised and harassed for being gay. Unlike Fran Worthy, my main character, I come from a loving, tight knit family that is very progressive. My 80-year-old parents march in protests and have socialized for decades with openly gay friends. Perhaps the underlying questions was how could I, a woman given abundant love and support all my life, channel the inner emotional life of someone given so little? At the time I brushed off the question. “I’m a writer, it’s what I do. I live other lives.” And yet, the more I thought about it, the more I wondered. What was driving me to write this story? What was the shared emotional core? In the first draft the story was told entirely from the main character’s point of view. The problem was that for much of the story, she’s concussed, which made the story too bleak. Fran’s concussion made her feel isolated, confused, tired and overwrought. That’s when it hit me. I had unwittingly written about my own struggles with depression. Sure, it’s deeply buried in a fast moving plot with a road trip quest to meet Nirvana but the more I thought about it, the more I uncovered my own links to my main character and her savior: Kurt Cobain. On the surface the comparison is laughable: a suburban mother of two comparing herself to the rock god Kurt Cobain. (Insert eye rolls from my two teens.) But everyone consists of layers of all the different lives we’ve led. At one point I was a screenwriter in Hollywood. I’d visit studios, pitching stories to neurotic, narcissistic, over-privileged producers and their sycophantic assistants, struggling through the entire ordeal under the shadow of depression. Writing stories is what kept me sane. If I could create, I could live in an alternate world. A world with happily ever afters. Where people grow and learn from their adventures and mistakes. The imaginary world upon which I built my career didn’t include a sink hole of blackness that followed me like a monster, waiting to swallow me whole. What does a depressed person write? Comedies. Naturally. Kurt Cobain was about 13 when he saw a body hanging from a tree outside the Aberdeen grade school. He and a classmate stared at the corpse for a half hour before school officials sent them packing. Several members of his family killed themselves and at 14, Cobain told a school friend that he would become a rich and famous rock star then kill himself in a blaze of glory like Jimi Hendrix. Neither kid realized that Hendrix’ death wasn’t suicide. It’s hard to say when exactly Kurt became depressed. Aberdeen wasn’t an easy place for a sensitive young man fixated on art instead of sports or more manly pursuits. Kurt developed a taste for booze, finding a morbidly obese man to buy him and his friends malt liquor in exchange for pushing the man’s wheelchair to the store. In high school Kurt began writing songs that would become the basis for Nirvana’s first albums. Kurt channeled his anger, frustration, sadness and disillusionment into lyrics that were filled with longing, alienation and irony. My experience with depression and writing has been that writing, like depression, has a cyclical rhythm. When a great idea hits, life is a blast of high octane sunshine fueling manic energy and productivity. When the story (or song) is written, consumed by the public and the world moves on, it feels like the end of a passionate relationship. I want to wallow in sadness. Wear pajamas all day, eat ice cream, drink bourbon and eat potato chips for dinner. Kurt had far worse predilections. Heroin isn’t a subject in my book. The Kurt I wanted to capture was funny, charming, quirky and quite possibly, in 1993, burnt out by fame. But not so badly that he couldn’t spend a few moments with a fan and recognize a fellow artist. Someone who, like him, was just trying to make it day by day by channeling the pain of living into something beautiful: creation. A song that’s never been sung. A book that’s never been written and in my main characters case: a photograph that captures a seminal moment in rock history. Ellyn Oaksmith is the USA Today bestselling author of four books including the Kindle bestseller Chasing Nirvana. She lives in Seattle with her family. ​ Luckily, she’s waterproof. 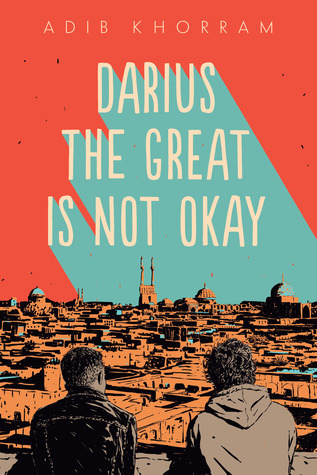 Ugh, this book is so good and heartbreaking but hopeful and such a great mental health book and so real and I ship everything and just read it. Quick LGBTQ Reads News Roundup! There’s a lot happening today in the world of LGBTQ Reads, so a quick catchup for anyone getting overwhelmed by it all! First, there’s some new stuff on the site: in addition to a brand-new Fave Five post, the SFF section has been updated to include YA as well, so that SFF for all ages can be found in one spot. There’s also a new page that is very much in progress, so that you can now find LGBTQIAP+ Manga, comics, and graphic novels as well. Thanks to everyone who’s been helping provide recommendations! Rec to: I mean, there’s almost no gay sports anything in YA, so. Marian by Ella Lyons releases on November 3rd, and you can add it on Goodreads here! 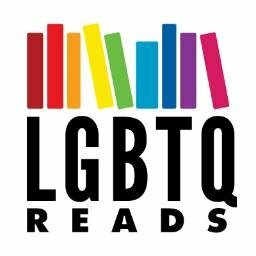 Quick reminder that LGBTQ Reads is also on Tumblr, and if you need a rec or twelve, you can always Ask!